Russia and the West are like neighbors who never seem able to understand each other. 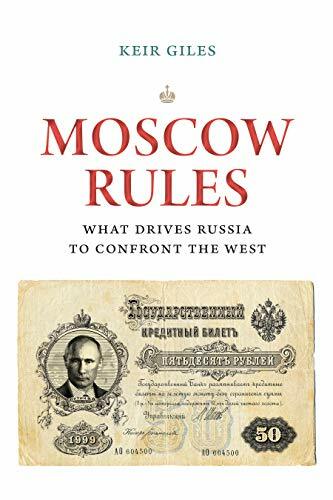 A major reason, this book argues, is that Western leaders tend to think that Russia should act as a “rational” Western nation—even though Russian leaders for centuries have thought and acted based on their country's much different history and traditions. Russia, through Western eyes, is unpredictable and irrational, when in fact its leaders from the czars to Putin almost always act in their own very predictable and rational ways. For Western leaders to try to engage with Russia without attempting to understand how Russians look at the world is a recipe for repeated disappointment and frequent crises. Keir Giles, a senior expert on Russia at Britain's prestigious Chatham House, describes how Russian leaders have used consistent doctrinal and strategic approaches to the rest of the world. These approaches may seem deeply alien in the West, but understanding them is essential for successful engagement with Moscow. Giles argues that understanding how Moscow's leaders think—not just Vladimir Putin but his predecessors and eventual successors—will help their counterparts in the West develop a less crisis-prone and more productive relationship with Russia.